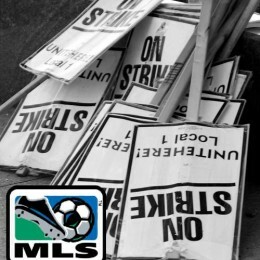 The MLS and the MLS Players Union “have reached agreement in principle” on a new collective bargaining agreement which will allow the new season to start on time. Here are further details on what MLS commissioner Don Garber and Players Union executive director Bob Foose said in the announcement of the agreement. Philadelphia Union lost 1-0 Friday night to the Tampa Bay Rowdies in their final pre-season friendly in Tampa. J.T. Noone’s shot off the crossbar was the closest the Union came to netting. 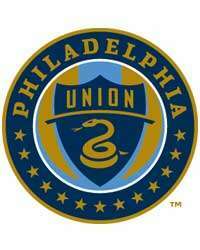 Philadelphia Union will host one of the world’s top clubs this summer when Spanish side Valencia C.F. visits PPL Park in Chester for a friendly. 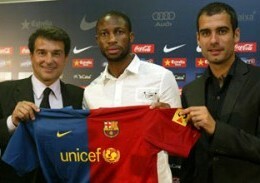 Valencia boasts one of the world’s top strikers in David Silva and world class attacker David Silva. Raul, Clarence Seedorf, Thierry Henry. All European stars at one point. All possible targets for the Union. 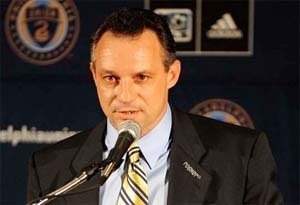 PSP takes a look at the prospects for the Union signing a designated player from Europe. “It needs to stop.” After Sunday’s 0-2 loss to FC Dallas which saw three Union players issued with red cards, Peter Nowak has some strong words to say to those on the field and on the bench. The United States rarely settles for second place. Will MLS ever grow into a league that can compete with those in footy-crazy countries? And will US fans be happy with a league that accepts its role as a feeder system for larger leagues and a buyer of over-the-hill stars? Alejandro Moreno, Danny Califf and Michael Orozco drew red cards during Sunday’s loss to FC Dallas. As some skeptics talk about a potential Major League Soccer strike, it’s become common to say MLS is the only league many of the league’s players could make it in in, as if to say, “Strike here, and you won’t play anywhere.” Here’s how Philadelphia Union proves otherwise. In signing young midfielder Roger Torres, Philadelphia Union are taking part in a growing trend in MLS: Bringing in Colombian talent, especially that of the young variety.